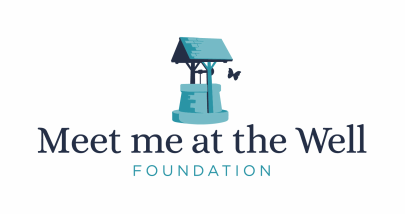 Meet Me at the Well Foundation has several programs in place to aid and serve the survivors and their children. Our hope is to support survivors as they move forward in life finding success and value beyond what they imagined for themselves or their children. We come alongside as they recover and build a new life, and offer assistance where and when we can. Donations and volunteers are a large part of each of these programs. On Easter, we offer baskets to mothers who want to provide their little ones an exciting Easter. Baskets contain a Bible or Bible story book, bubbles, several small toys, a bit of candy, and a few plastic eggs with surprises. On Christmas, we provide a way for moms to give gifts to their children on Christmas morning. We provide age-appropriate toys, hats, gloves, scarves, socks, art or coloring supplies, jewelry, collectibles, toothbrushes and other personal care items, and more. We also include a roll of tape, wrapping paper, ribbons, bows, and name tags for each child's gifts. One of the first programs our founder, Amy Day, put in place was the birthday card program. We send each survivor a birthday card with a $10 gift card to Wawa, a drug store, or a grocery store. Small gestures communicate big things! One woman told Amy she had not received a gift or card since she was seven years old. We were so grateful to break that cycle. We offer survivors everything they need for a holiday meal with their family. Some have family to visit, some have the ability to supply everything, and a few have nothing to offer their children on Easter, Thanksgiving, or Christmas. We supply a ham or other holiday meat, potatoes, fresh vegetables, bread, beverages, and dessert. Survivors receive a new purse filled with both necessities (winter hat, scarf and gloves, socks or slippers, and personal care items) and fun items (such as handmade jewelry, a $5 gift card, make up and nail polish, markers and a coloring book, an accent scarf, and a devotional or journal). Some of these women have expressed their appreciation by explaining they haven't received a gift in many years. We offer a variety of items to help women with the large expenses of furniture, linens, pantry items, cleaning tools, cleaning products, and hardware such as curtain rods. We accept donations of used furniture, dishes, and baby furniture in good condition. We can always use donations of new products such as: mops, sponges, vacuums, paper products, cleaners, canned and dry foods, beverages, diapers, and personal care products. If you would like to participate through donations or volunteering please contact us. We have several programs in the development stage. If you are interested in helping us build programs to assist survivors in living a healthy life of freedom contact us for more information.